Although many deaths at the Berlin Wall have been publicized over the years in the media, the number, identity and fate of the victims still remain largely unknown. 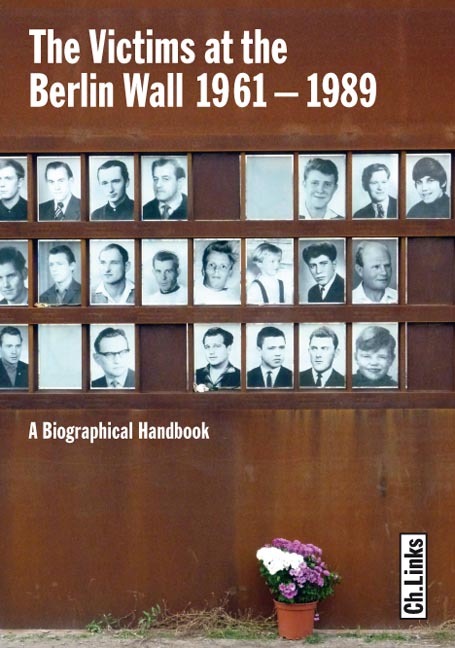 This handbook changes this by answering the following questions: How many people actually died at the Berlin Wall between 1961 and 1989? Who were these people? How did they die? How were their relatives and their friends treated after their deaths? What public and political reactions were triggered in the East and the West by these fatalities? What were the consequences for the border guards who pulled the trigger and the military and political leaders who gave them their orders after the East German border regime collapsed and the Wall fell? How have the victims been commemorated since their deaths? By documenting the lives and circumstances under which these men and women died at the Wall, these deaths are placed in a contemporary historical context. The authors, in addition to systematically researching the relevant archives and examining all the legal proceedings and Stasi documents, also conducted interviews with family members and contemporary witnesses.